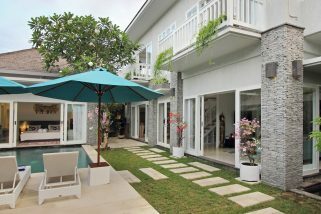 These fabulous 2 bedroom Seminyak villa is tucked away in a beautiful complex that was conceived and built by the renowned French architect Stephan Remini and provide guests with a boutique experience with a 5 star level of service. 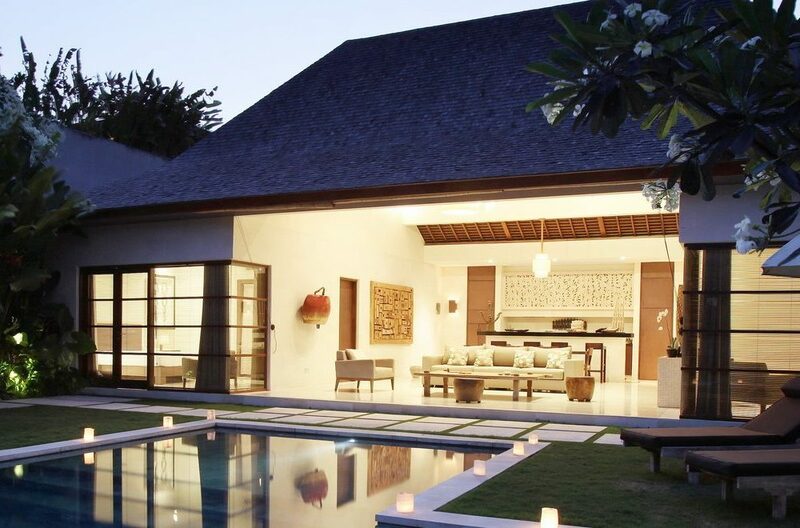 Nyaman Villas are perfectly located in the hub of the stylish Seminyak area, gifting them easy access to the beach, fashionable boutiques and a number of excellent restaurants with cuisine from around the world. Situated in an enclave of mature palm trees, set back from the road, this complex is centred on an elegant lobby and offers all the security of an upscale hotel with the added bonus of your own secluded oasis. 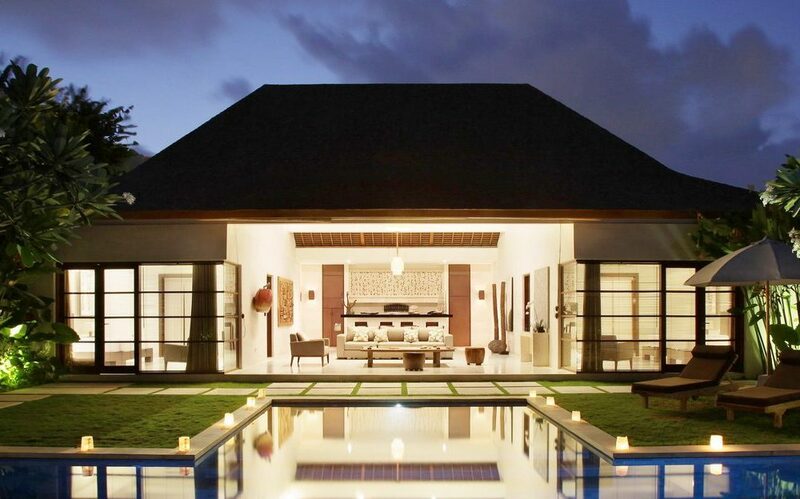 These lavish villas comprise of an extensive open plan living area with a high beamed ceiling. 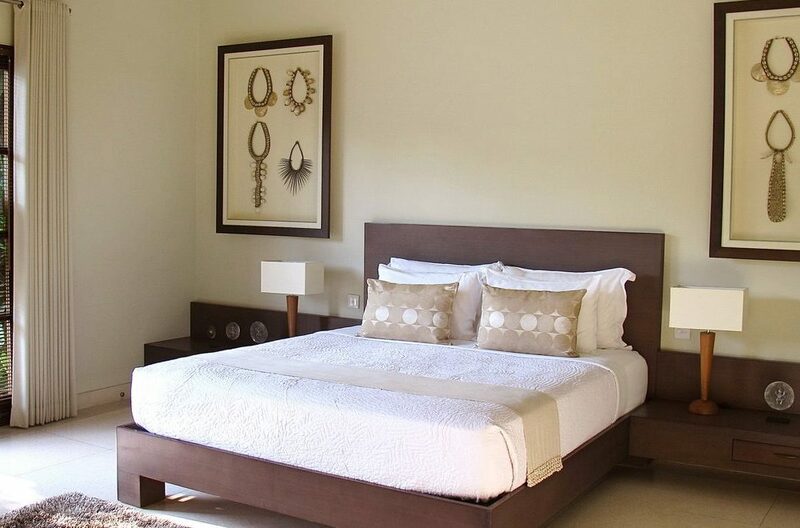 These include a fully fitted American style kitchen, a dining table and a comfortable seating area. 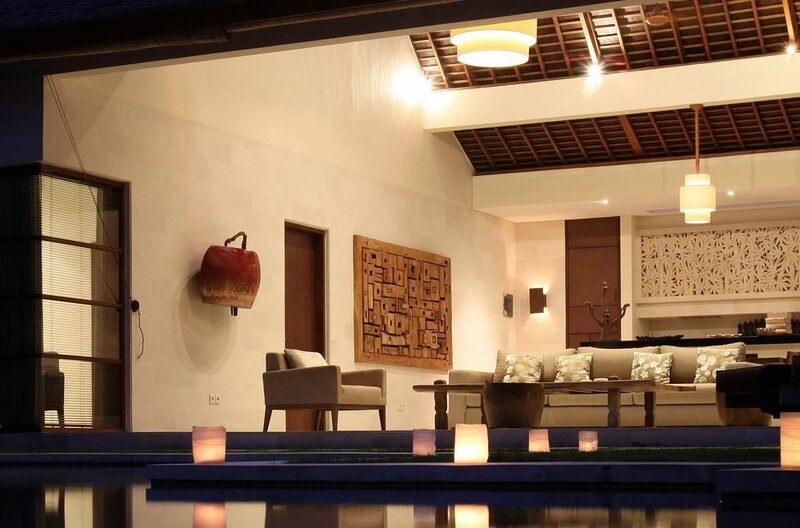 Decorated with natural tones and carefully chosen pieces of local art work this is a relaxing space which is open to the beautiful outdoors and effortlessly blends with the radiant garden, creating a space where sunlight and tropical vibrations flourish. Every day a delicious complimentary local or American style breakfast is served by your own butler and there is really no better way to start the day. 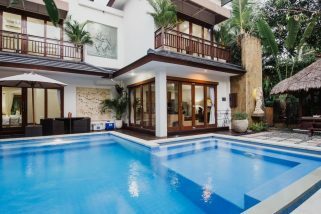 Each villa features a large T shaped swimming pool surrounded by carefully manicured lawns and the stunning beauty of local flora and fauna. 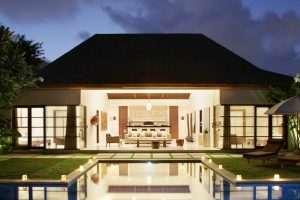 There is plenty of room here to dine alfresco under the stars or to soak up some of the exotic sun on the comfortable loungers provided. 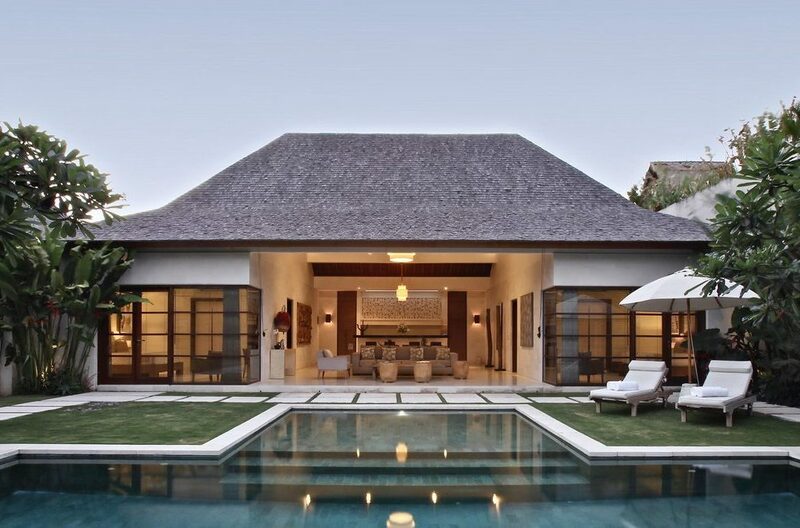 This is the ideal place to unwind and connect with those near and dear to you. Both the bedrooms are air- conditioned and beautifully decorated in calming tones offering the perfect place to recharge your batteries after a day exploring the island. 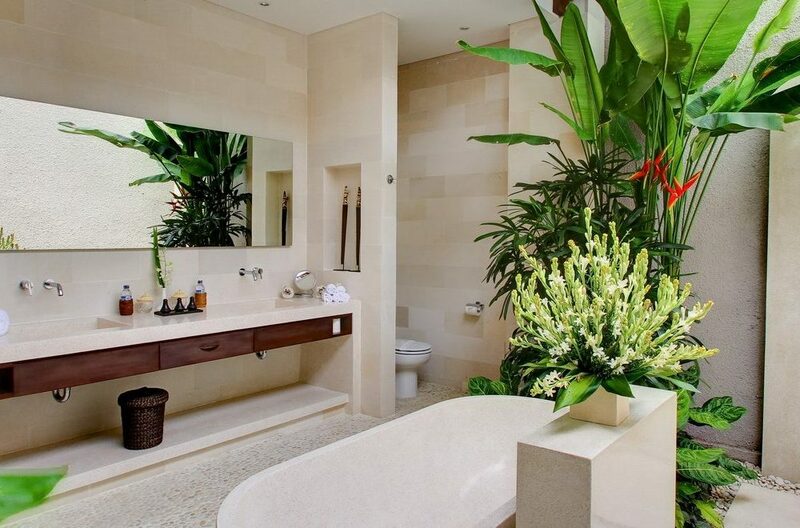 Both of these have sophisticated ensuites with partly open bathrooms and large dressing rooms. Your entertainment and communication needs are well taken care of with a PS2 with 20 games as well as a DVD library, Wi-Fi and a local phone being provided. 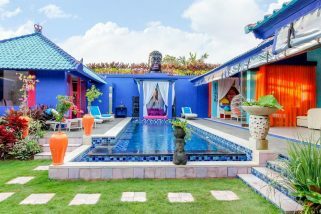 This property is staffed by a butler and a daily housekeeping service and a wide range of further services such as a private chef, in house yoga and massage services can be facilitated at extra charge.